Bury Developments Ltd are Building Contractors with the infrastructure and flexibility to deal with all aspects of work within the construction industry throughout the United Kingdom. 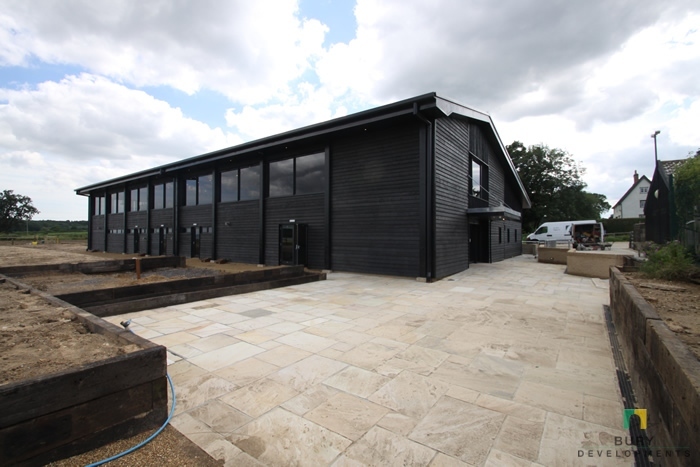 We have experience in dealing with a wide range of Construction and Civil Engineering projects, including Commercial New Builds, Office and Factory Refurbishments and Maintenance, also Domestic works including New Houses, Extensions and Renovations. We also specialise in building works within the Food and Drink processing sector. Established in 2001 Bury Developments Ltd is a family owned and run business based in Bury St Edmunds, Suffolk. As a company we pride ourselves on our professional approach to finding solutions to all our clients needs. We believe our success comes from the importance we give to ensuring high standards are maintained and any improvements are made. It is to this end that we have achieved recognition from the National Federation of Builders, NHBC and are ISO 9001 and ISO 14001 Certified. Bury Developments were proud to be involved with the construction of the new Memorial to remember the 1974 air disaster. The Memorial was funded from proceeds of the memorial cycle ride in 2014 together with donations from friends and families. I’m a CEO get me out of here! On Friday 21st October 2016 i'm involved in a charity event, eating, drinking and general unpleasant tasks to raise funds for the St Nicholas Hospice. If you would like to donate please visit my just giving page. Bury Developments are proud to support the local community by way of sponsorship and events including Classic and Sports Cars by the Lake and Bury St Edmunds Rugby Club. We also host, organise and support fundraising events for other local charities and organisations details of which can be found on our news and events. More than 5,000 people flock to this annual event to celebrate their passion for motoring, the event features pre-war, post-war, modern and replica classic cars and stunning motor bikes. It’s a great day out for all the family and in aid of a great local charity with 100% of the proceeds going to St Nicholas Hospice Care. 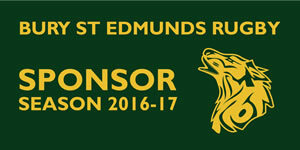 We began sponsorship with the Rugby Club in 2005. The Bury Developments logo is displayed on the team’s kit as well as advertising in the Club’s Annual Handbook. As planned in March 2009 we increased our sponsorship to include Main Stand advertising and were very excited to be given the opportunity to sponsor the referees shirts for the ULR Suffolk 7’s tournament which took place on the 3rd May 2009.